The bestselling author of THE THORN BIRDS returns with a novel of laughter, passion and more than a little magic ... 1960, Sydney's Kings Cross. Harriet Purcell leaves her conventional, respectable home and respectable, passionless boyfriend and moves into a rooming house owned by Mrs. Delvecchio Schwartz. There, Harriet finds a life she relishes - excitement, adventure and passion. Mrs. Delvecchio Schwartz makes a living from telling fortunes, and is mother to 4-year-old Flo. 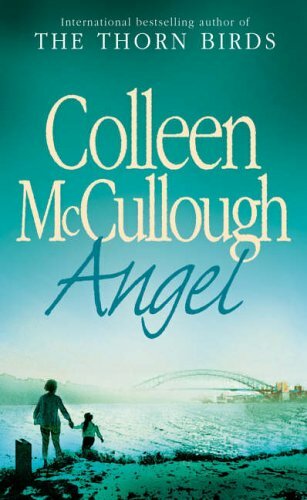 Beautiful little Flo is mute, and Harriet comes to love her as if Flo were her own - and must protect her at all costs when tragedy strikes... Angel is Colleen McCullough at her vintage best, drawing on her own experiences of living in the Cross in the 1960s and writing of a world that has long gone. Most of all, it is a tale of a woman's love for a child, and what she is prepared to endure to ensure her survival.